Show your true beauty, move over mascara and say hello to APRAISE® . 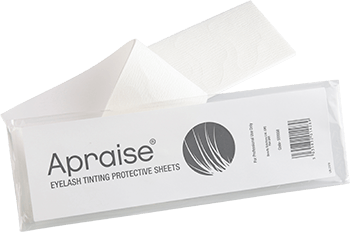 An exclusive collection of professional eyelash and eyebrow tints, which includes a diverse and extensive product range, APRAISE® is the ultimate tinting system for a long-lasting eyelash and eyebrow tint experience. Created for the salon professional, APRAISE® eyelash and eyebrow tinting system with Optic Chroma Complex fuses colour pigment technology. Beeswax and a rich cream base penetrate deep into the hair shaft to provide radiant colour from root to tip. This blend of active ingredients ensures long lasting and intense colour, luminous shine and condition for a result that visibly transforms the appearance of the eyelash and eyebrow. This elegant range of eyelash & eyebrow tints is for the professional who’s always on the move. It will save clients valuable time, energy and money. It’s waterproof, smudge proof and lasts up to 8 weeks. Each tint colour has approximately 40 applications per tube. 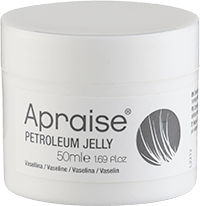 Unlike mascara APRAISE® has a more accurate application finish and in the hands of a trained APRAISE® professional, your appearance will just get better. It’s ideal not only to enhance your client’s assets but also offers them that long lasting tinting experience.